Propeller Health’s respiratory disease management platform—which combines sensor-equipped inhalers with software applications and analytics—will now also be able to pull in measurements of patients’ lung function, thanks to a partnership with Italy-based Medical International Research (MIR) announced on Thursday. MIR has for years manufactured spirometers, which measure the volume of air someone breathes in and out, and the speed of exhalation. 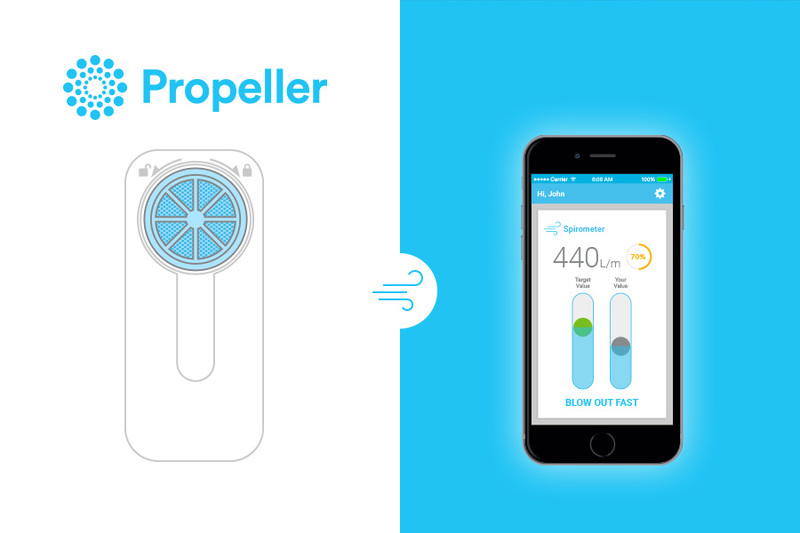 Madison, WI-based Propeller, whose digital health products are marketed to people with asthma and chronic obstructive pulmonary disease (COPD), says that spirometer devices can help clinicians assess how patients are responding to treatments. MIR, whose U.S. operations are based in Waukesha, WI, will work with Propeller to configure several types of MIR spirometers so that they can send data to Propeller’s system. Currently, most spirometer tests are performed in clinical settings. However, companies such as MIR and New York-based Cohero Health are developing mobile devices that allow users to measure lung function from home, and wirelessly transmit results to Internet-connected devices. Hospitals, clinics, and pharmaceutical partners that have used Propeller’s products in studies or given them to patients can now incorporate data collected by MIR’s spirometers, according to a news release. Propeller has inked numerous deals with large companies in the U.S. and Europe—Boehringer Ingelheim, GlaxoSmithKline (NYSE: GSK), and Aptar Pharma, to name a few—to get the smart inhalers it helps build into more patients’ hands. Propeller recently received its eighth FDA clearance for a connected inhaler or a sensor that gets integrated into inhalers made by its partners. In October, the company raised more than $21 million from investors in a Series C funding round. Propeller had 55 employees at the time it announced the round.